Minos was the king of Crete and Pasipahe´s husband. As we already know, Pasiphae was the Mother of the Minotaur. After Pasiphae become impregnated by a white bull, she then gave birth to an hybrid child, the bull-headed Minotaur. 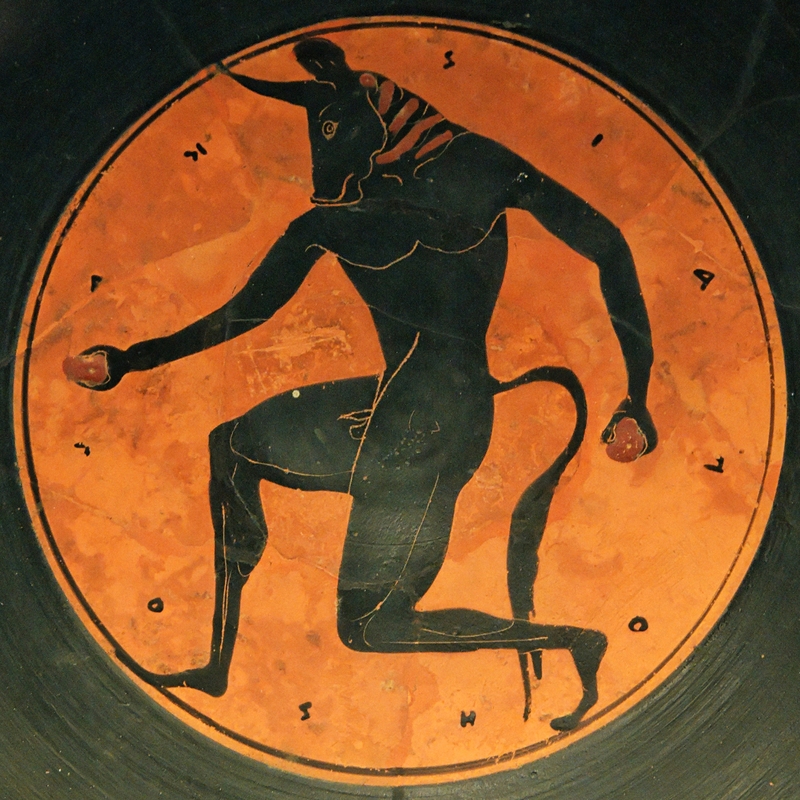 Angered with his wife, Minos imprisoned the minotaur in the labyrinth of Crete in Knossos. Some modern mythologists regard the Minotaur as a solar personification and a Minoan adaptation of the Baal- Moloch of the Phoenicians. 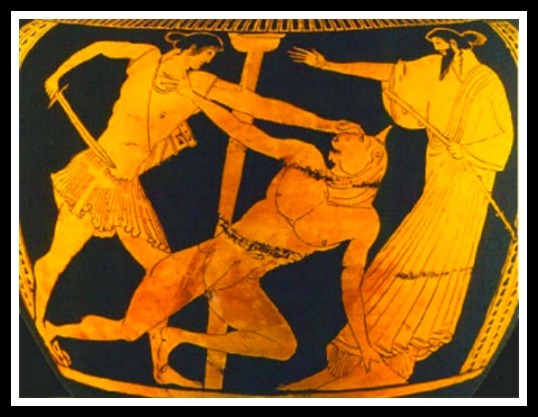 The slaying of the Minotaur by Theseus in that case indicates the breaking of Athenian tributary relations with Minoan Crete. My blogger friend María, from The Tropical Flowering Zone held in one of her comments in my previous post that “the Minotaur was spawned from the liaison of a woman and a bull, and symbolizes this ‘coincidentia oppositorum’ (meeting of opposites) of feminine and masculine, creature and human, rational and irrational, spiritual and instinctual, deity and demon, good and evil”… As to Pasipahe´s pregnancy she believes it could be understood as a “symbol of a mother’s unconditional love, as well as her ability to conceive entrains a assumption and materialization of Poseidon’s punishment”. In the ancient Greek language, the word Labyrinth means “the house of lavrys.” The lavrys is the double-edged axe – one of the basic sacred symbols of the Minoan religion. Usually interpreted as an astro-solar symbol, the lavrys is etched on many sculptured stones in Minoan palaces and other buildings, as well as on vases, pots, and various other works. There are clear and straight connections between Minoan Crete and Greece. In this sense, my blogger friend, Aisha from Aisha´s Oasis has highlighted in one of her latest comments that Agamemnon’s father, Atreus (Greek), got married Princess Aerope, who was the daughter of King Catreus of Crete. Being therefore Aerope the mother of Agamemnon and his twin brother Menelaus (the famous husband of Helen). Aisha also found an analogy worth noting. Which applies to the two respective myths, as Atreus also came into the possession of a lamb with a golden fleece. 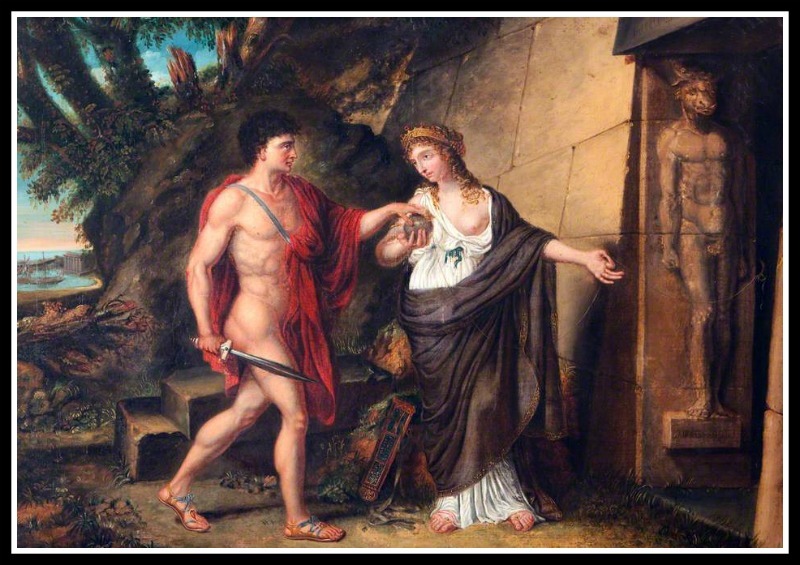 He had promised to sacrifice it to Artemis, but reneged on his vow and kept the lamb (or its fleece) hidden away. Minos, by his part, owned a white bull, which was supposed to be sacrificed to Apollo, he also reneged on his words and keep it to himself in the gardens of the Palace of Knossos. 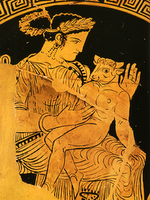 Pasiphae, wife of King Minos of Crete, had several children before the Minotaur. The eldest of these, Androgeus set sail for Athens to take part in the Pan-Athenian games. Being strong, he did very well, winning some events outright. He soon became a crowd favorite, much to the resentment of the Pallantides, and they assassinated him, incurring the wrath of Minos. When King Minos heard of what befell his son, he ordered the Cretan fleet to set sail for Athens. Minos asked Aegeus for his son’s assassins, and if they were to be handed to him, the town would be spared. However, not knowing who the assassins were, King Aegeus surrendered the whole town to Minos’ mercy. His retribution was that, at the end of every Great Year (seven solar years), the seven most courageous youths and the seven most beautiful maidens were to board a boat and be sent as tribute to Crete, never to be seen again. On the third occasion, Theseus, the son of the King of Athens. volunteered to slay the Minotaur. But in that occasion he also fell in love with Minos’ daughter Ariadne, who would on no account let her beloved become food for the Minotaur. Daedalus’ aid was requested once more, and he gave Ariadne a clue or ball of strong thread. Theseus, following Daedalus’ advice, tied one end of the string to the Labyrinth entrance, and walked through the maze unwinding it until he found the Minotaur. Once he had killed the monster, he followed the thread back out. 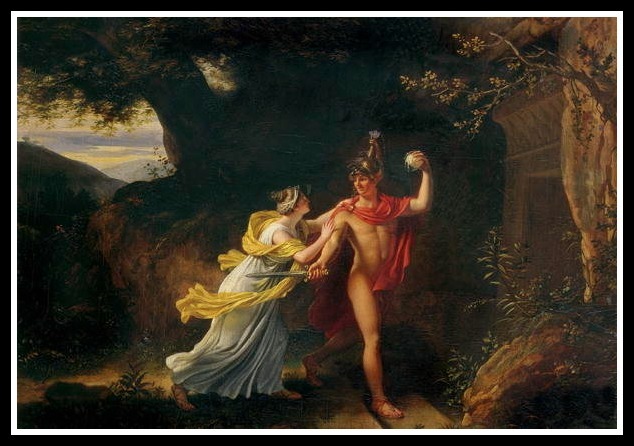 Theseus managed to escape with all of the young Athenians and Ariadne as well as her younger sister Phaedra. Then he and the rest of the crew fell asleep on the beach. Goddess Athena woke up Theseus and told him to leave early that morning, leaving Ariadne and Phaedra on the beach. Stricken with distress, in hre trip back home, Theseus forgot to put up the white sails instead of the black ones, so the king assumed Theseus had failed and committed suicide.In some versions throwing himself off a cliff and into the sea, thus causing this body of water to be named the Aegean. Theseus then became King of Athens. His “mistake” when he sailed home implied tha the became King as a result of it. So, as Aisha has commented: “that was an ironic twist at the end… And one wonders if it was really a mistake”. In the meanwhile, Dionysus later saw Ariadne of Crete, crying out for Theseus and took pity on her and decided to marry her. During Minos’ reigning years, Daedalus, from Athens , took up residence in Knossos, after he was exiled to Crete for committing a crime in his own country. In Crete he eventually became the official architect and sculptor for Minos. In Knossos he built the Palace, the Labyrinth, the wooden likeness of a cow for Pasiphae, and even as said before, helped Ariadne and Theseus kill the horrible Minotaur. However, when Minos became disillusioned with Deadalus because he had betrayed him, he jailed him together with his son in the labyrinth. Daedalus wanted to scape, so made a pair of wings for himself and Icarus and they flew away. The wings were made of feathers held together with wax. Daedalus warned his son not to fly too close to the sun, as it would melt his wings, and not too close to the sea, as it would dampen them and make it hard to fly. They successfully flew from Crete, but Icarus grew exhilarated by the thrill of flying and began getting careless. Flying too close to the sun, the wax holding together his wings melted from the heat and he fell to his death, drowning in the sea. The Icarian Sea, where he fell, was named after him. 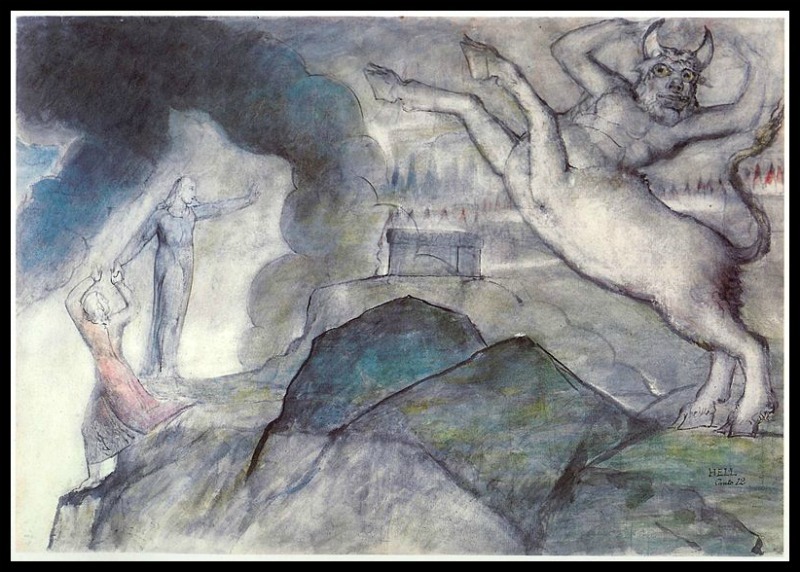 •The Minotaur, appears briefly in Dante´s “Divine Comedy”, Inferno, (Canto XII). In these lines, Virgil taunts the Minotaur in order to distract him, and reminds the Minotaur that he was killed by Theseus (“the Duke of Athens”) with the help of the monster’s half-sister Ariadne. The Minotaur seems to represent the entire zone of Violence, and serves a similar role as gatekeeper for the entire seventh Circle. •I suggest you to check out this post The Labyrinth of The Soul at E-Tinkerbel´s blog. There, Stefy relates the classic elements of the Labyrinth and the Minotaur´s myth to James Joyce´ book “Ulysses” . Worth reading. ►Danke schön: Thanks to Aisha, María and Doda for their collaboration and notes on this post. Thanks also to Stefy for posting such an interesting article on the labyrint and Joyce’s “Ulysses”. ►Updates: Mario Cornejo Cuevas has written a remarkable post, inspired by this one. Its title is “Socrates y el Minotauro” (“Socrates and the Minotaur”). In his post, he analyzed Plato’s dialogue “Phaedo” (which main topics are Socrates´death and the Immortality of the Soul) linking it to the myth of the Minotaur and his further death by Theseus. I truly recommend it. Rubén García suggested me to read this exceptional brief story by Antonio Tabucchi: “Sueño de Dédalo, arquitecto y aviador” (“Dream of Daedalus, Architect and Aviator” ). Worth reading. on 05/29/2014 at 1:57 pm | Reply F.G.M. on 05/29/2014 at 3:25 pm F.G.M. I love Greek mythology. It’s such a great subject and very interesting to me. It’s a surreal mix of fantasy, science, myth, and reality. Really glad to know that you enjoy Mythology and agree with you in your statement above: It is certainly a powerful blend!. on 05/29/2014 at 2:14 pm | Reply Maria F.
Amazing, I can’t wait until I read this tonight! This is the sequel of what happened next and the famous Ariadne’s thread. Glad to know that you liked it, thanks for your comment. Always felt sorry for the minotaur. He got a rotten deal in this whole thing. Interesting link to Baal, though. Hard not to imagine some connection. The brief story by Borges The house of Asterion caught that same sensation of feeling sorry for the minotaur (you should read it, it is not long and very well written). 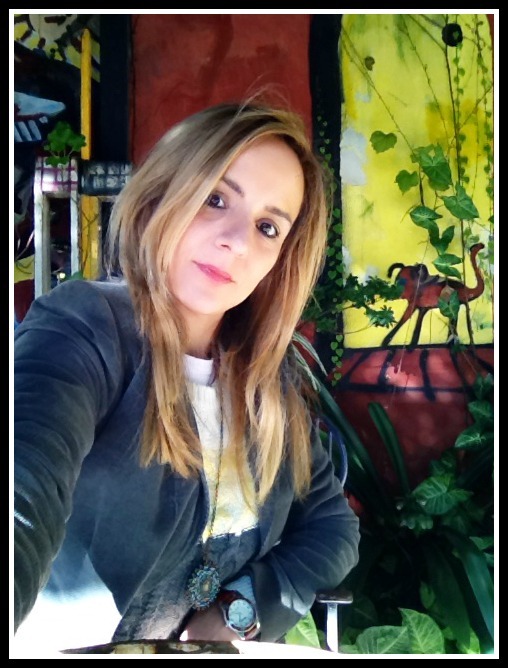 Hello sweet Aqui and hello new post! Really nice. I learned more about the minotaur and there are some new blogs to pick out too (I already know Doda and her lovely blog!). I like that you included comments from readers to your previous post – that really added value to your explanation of the myths. It’s a collaboration – like! Of course, the one beginning next week is another collaboration hehe 🙂 I really enjoy learning more about mythology from your post as well as the way you explain different terms within them. Thank-you for this post!! As to fellow bloggers, the comments they have left me in my previous post were so enlightening and clever that I couldn ´t avoid including their insights in this second part of the myth. Aww, I look forward to working with you too! Yes, some of the comments we get on our posts are amazing – it was great, as I said, that you cleverly included them in your post. Really great! Happy Friday to you, my wonderful friend. Thank you very much ChristyBee… Have a wonderful weekend as well. Awww so sweet you are, Doda! You and Aqui are wonderful! Thank you for explaining such beautifully … Your blog is addictive!! Why, thank you dear TalkerBlogger. Just followed you! Not missing any more posts :)) take care you too ! Saw that… I much appreciate it… Wink/Wink!!! It’s amazing the number of versions thrown up and the characters and forces that drove them. It does get difficult to define who the ‘nice’ one is – cleverly portraying mortal man who can be both vile and angelic. This never figured in my thoughts and adds a valid possibility. I am really glad to read your comment and to know that you enjoyed this post. It’s nice to see that Blake etching on here… great post, Aquileana! Dearest Aquileana, what an excellent continuation of the story, and a wonderful wrap up of the previous posts into the fabric of our understanding! I too had never given thought to the breaking of the Athenian tribute, and it’s clear this is an indication of the weakening of Minoan power over the region. Perhaps we can say it signals the beginning of the end. I can’t help but wonder if Theseus had married Ariadne, perhaps it would have been Athens rising to power sooner, but history and fate chose the Acheans to carry the baton of power into Mycenaean Greece from Crete. As Europa was abducted from Phoenicia, it isnt surprising to learn the root of the bull worship in Minoan Crete. That’s a new point for me about the parallel between that and the worship of baal moloch of the Phoenicians. We may add another thread in the fabric, this is so cool- baal worship is in the Bible, too, and it is infamous for the practice of sacrificing young children, throwing them live into a pit to appease baal. Sir Arthur Evan, famous archeologist who unearthed the Minoan palace at Knossos in Crete, also found evidence of human sacrifice, bones of young children found in a pit, indicating ritual live sacrifice. It does tend to enlighten the imagination, regarding the Minoan bull worship link back to baal worship in Phonecia. You are as awesome as ever, my dear unique friend, thanks so much for including me in your post, and I truly enjoyed the symposium you offered with our dear friends Maria and Doda at the table, too! Oh my! you are so clever and enlightened. I always learn something new when you analyse these topics and so on. As such for instance ; I didn´t know that baal moloch was a Phoenician mythological character. Another point worth highlighting of your comment here. The one related with Sir Arthur Evan founding bones of young children in a pit, indicating ritual live sacrifice. It is always my pleasure to read your thoughts and insights. And that symposium as you called it was remarkable. You are correct to define it as a mythological character, there is a fine line between mythology and theology, isn’t there?! Lol, what I believe is religion, but what the Phoenicians believed is mythology (*slightly ironic smile*) lol, guess that’s just the way it is! The worship of baal is very extensive in the ancient world, and maybe we can thank Theseus for putting an end to that reign of terror, by killing the minotaur. The minoan civilization also worshipped the female deity of birth and ressurection, I dont know if there are links between this and baal, but I wouldnt be surprised! on 05/30/2014 at 10:59 am | Reply Maria F.
Aquileana, thanks so much mentioning my blog in your post and for the quotes, and to Aisha for putting me on the table also for these discussions. I love labyrinths, and I continue to be mystified by Ariadne’s thread, since the myth sometimes gets switched around saying that it was actually Daedalus who handed Ariadne the spun thread? In Greece, as you know, it was one the Moirai (the “Fates”) or “Crones” who control destiny [The Crone is also an archetypal figure, a Wise Woman. She is marginalized by her exclusion from the reproductive cycle, although Ariadne bore children when she became immortal] and the Moirais proximity to death associate them with occult wisdom. Although it was Clotho, the youngest of the three Moirais, who was responsible for spinning the thread of human life and made major decisions, (such as when a person was born and choose who was born and when gods or mortals were to be saved or put to death), Ariadne, is also considered similar to Clotho in that she carries a spun thread, much like Clotho’s spindle. 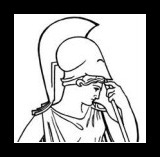 So I’m still wondering why some accounts of the myth still say it was Daedalus who handed Ariadne the spun thread, when in Greece there was also the weaver goddess Athena (Goddess of Wisdom, the arts, crafts, and skill, among other things), having this weaving tradition attributed to women? If you can clarify this, it would be great. It’s not that I’m taking merit away from Daedalus, but there seems to be a discrepancy, as well as a relationship here. on 05/30/2014 at 11:09 am | Reply Maria F.
What I also have been reading is about the symbolism involved with the labyrinth. The labyrinth has been seen as an archetypal symbol of the psyche and of what C.G. Jung called the “individuation process”: the misleading and unpredictable path toward wholeness and authenticity as seen by entering the labyrinth. The goal to reach the center is said to symbolise the encounter with the Self, the essence of our being. But it’s only considered half of the journey, however, for having discovered the inner center and essence of Self in the labyrinth, is not sufficient. A person must then find a way out of the labyrinth and back to the outer world and this time being transformed by the tortious experiences of having entered it and fought with all of its obstacles. This coming in and out of the labyrinth is repeated many times throughout our lives. One simply cannot fall asleep in the centre of the labyrinth as this would mean isolation from the outer world. The Ariadne’s thread then is the symbol of solving of a problem with multiple apparent means of proceeding through an exhaustive application of logic to all available routes. It has become the symbol of a method that is able to trace back the steps of wrong doings or misleading paths to then correct actions by deductive reasoning. “The goal to reach the center is said to symbolise the encounter with the Self, the essence of our being”. I guess we are referring to the same thing.. In my other comment back to you, I suggested that maybe the labyrinth could be related to the unconscious…. 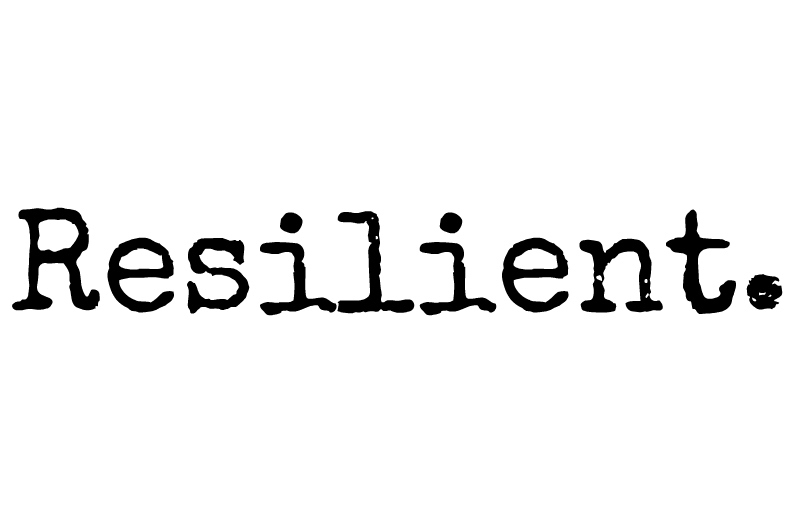 “A person must then find a way out of the labyrinth and back to the outer world and this time being transformed by the tortious experiences of having entered it and fought with all of its obstacles”. I found it truly interesting and it made me think in Josep Campbell´s stages of the Hero´s Journey. Thanks a lot for taking time to read in depht. And it was a huge pleasure to include you in this post!!! 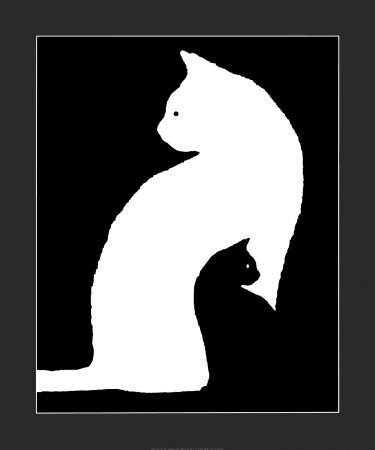 on 05/30/2014 at 1:46 pm | Reply Maria F.
“It is quite true what philosophy says; that life must be understood backwards. But then one forgets the other principle: that it must be lived forwards. Which principle, the more one thinks it through, ends exactly with the thought that temporal life can never properly be understood precisely because I can at no instant find complete rest in which to adopt a position: backwards”. Kierkegaard is talking about experience and the role of subjectivity in human’s lives. So two persons may be caught each in a different labyrinth, but each will react totally different from one another according to Kierkegaard. Life is transient, and according to how I view my life in face of challenges (the labyrinth), I will or not will be able to find a solution to get out of the labyrinth. So the ‘Ariadne’s Thread’ is actually within me already, in my own system of beliefs. According to existentialism, it doesn’t need to be anyone’s ‘thread’ but mine, because only I will be able to help myself out of the labyrinth, simply because not everyone will have an “Ariadne’s Thread” in life. It’s simply the “absurdity of life” as Camus would say. I am so grateful to know you, dear friend . Your comment here gave me shivers. So clever and meaningful.-.. I wonder if it can be also linked to our unconscious (the sensitive and dark side, our forbidden desires, our repressed feelings). on 05/30/2014 at 7:21 pm Maria F.
I’m still trying to understand Kierkegaard a little bit better, because when he speaks of “backwards” (in the quote), I’m not that sure whether he means the past, or experience itself as subjective for each individual and not involving God? Because I know he did believe in God. As to Kierkegaard´s quote I understood that by “life understood backwards” he menat by assuming our past, which I think might be related with our experiences and particularly with our mistakes. More wonderful stories!! I read the story of Sir Arthur Evans who excavated the palace at Knossos. He was so enamoured of the story that he actually went broke by pouring his fortune into trying to reveal it’s mysteries. Yes as Maria says too there is much symbolism in the idea of a labyrinth. Also a golden fleece shows up again with the argonauts on Colchis guarded by bronze hoofed bulls as well!! Jason’s story ends in such a horrifying tragedy! Your insights are much appreciated… Happy to read them and to know that you liked the post. Gracias querido Mario por enlazar al blog… Tu post es magnífico y me encantó el intercambio que propusiste. Querida Aquileana. Siempre es un gusto para mi leerte, pero más que leerte replicarte. Sabes que, más que añadir, me gusta más complementar; nunca está de más. Te dejo mi réplica aquí pegada. Un fuerte abrazo. La explicación de Fedón relativa al momento inmediatamente anterior al juicio de Sócrates en relación a los envíos de navíos desde Atenas a Creta “en procesión”, y “tal como lo había sido prometido a Apolo”… Coincidiendo la prolongación de la vida de Sócrates con las suspensiones de los sacrificios en Creta. Catorce, por otra parte, es un número que cabalísticamente simboliza el infinito, por lo que he leído respecto al relato breve de Jorge Luis Borges “La Casa de Asterión”, en donde dicho número se repite en varias oportunidades. Qué gran pregunta… Posiblemente a la tradición filosófica de los sofistas, quizás representada por los ortodoxos jueces que lo condenaron a muerte. El temor a la muerte también es un Minotauro… Sócrates como Teseo se enfrentaría entonces a sí mismo (su inconsciente, su parte oscura) y esa sería la parte que, lejos de la Razón Socrática, lo emparentaría con el costado animal, sensitivo, pulsional, “bestial”. Excelente análisis Mario, te mando un abrazo grande y gracias por enlazar tu post al mío. Me encantó el relato breve y lo enlazaré arriba al final del post , donde agradezco también a otros compañeros de WordPress. Sinceramente el final es genial y creo que podría tener cierto correlato empático con aquél Minotauro solitario y triste de “La Casa de Asterión” de Jorge Luis Borges. El mayor mérito creo es la paradoja de la puerta, en (vaya causalidad) poder de los cretenses nuevamente (nada más, nada menos). Si Epiménides, quien es cretense dice: “Todos los cretenses son mentirosos, Epiménides miente o dice la verdad”. Afortunadamente, en el relato que presentabas, se le pregunta, acertadamente, al guardia que corresponde y Dédalo logra ver, y casi alcanzar, la luna. Very interesting article. I enjoyed reading and painting. Congratulations. I learned interesting things and thank you very much for sharing with us. Welcome to my blog. It is a pleasure to have you here. Thanks for dropping by and glad to know that you liked the post. Otro beso para vos, Rub. Genial aporte el tuyo. Hi Aquileana, you have once again shared such an interesting post. It makes reading Greek mythology a pleasure because you’ve explained it well. Great information. Thank you! 🙂 Regards, Iris. Thank you very much, Iris… I am honored by your words. I always wondered what if Theseus had run out of string; would he of waited for the Minotaur or gone in search. Thank you very much… I am glad to know that you liked the post. Wishing you all the best. Many hugs and Happy Sunday to you as well. I enjoyed my visit to your blog and your illustration and information on Greek Mythology is wonderfully done and well put….I just loved it!!!!! Great Job!!!! Thank you very much Country Fair. This post is a really great example of how knowledge and ideas grow when we connect the dots of available information. Why, thank you dear Jeri. I am honored by your words. Será una entrada preciosa pero, excelente Amalia, debo estar ya colocado en las atenciones por el libro presto a aparecer. Pendiente queda de lectura este texto y seguramente alguno más. Lo siento. Un gran abrazo y hasta ve, querida amiga. Suerte. Fuerte abrazo para vos y éxitos con el libro. Literalmente la comunicación puede resultar abrumadoradamente laberíntica, querida Verónica. Genial Tute, siempre me ha gustado. Aquileana, the overzealous flight with ‘wings’ towards the sun was what caught my attention the most. It seems that the most successful ventures are ones that are done in moderation of body and spirit. Intriguing post–as always. I agree with you as to the concept of moderation. In fact, the ancient greeks had an specific word to make to it: Sophrosyne Thank you very much for stopping by to read and comment. Your insights are much appreciated, my dear blogger friend. Congratulation for your post and linking the tale of Borges: Ages from the first reading of it!!! Thank you very much for dropping by… I am really pleased to know that you liked the post. Sending you my best wishes, as well. Amazing so many stories entwined here Aquileana.. I was interested in reading too about the Lamb and the Golden Fleece… was this the one that Jason went in search for?.. I have to come back to take my time and enjoy your excellent posts. Wow! on 06/08/2014 at 10:44 am | Reply Maria F.
I’ve come to the conclusion that it’s probably irrelevant whether it was Daedalus who handed Ariadne the spun thread, or whether it was actually Ariadne’s initiative. I suppose I was trying to trace some sort of patriarchal overtone to the whole myth when some versions link Daedalus with giving Ariadne the thread, and other versions say Ariadne already had the thread. Either way it doesn’t really matter. It’s just interesting, for me anyway, to observe that “Ariadne’s thread” may have actually been Daedalus’. Quite interesting, indeed…And I am nodding with my head as I read your words. I bet Dedalus was introduced as a patriarchal feature of Ancient Greek ancient, as you have well highlighted . In fact your idea is eloquent. on 06/08/2014 at 11:19 am | Reply Maria F.
Maybe you took on an extra task at work or a job outside of work. Undo it. Go backward and free up your time. What if you took the next thing in reverse and then the next thing? It is only in this way that you can most methodically, most accurately, most thoroughly and successfully get out of the personal labyrinth you are trapped in…This is also named, “Ariadne’s Thread” as a strategy. The bull represents pure, animalistic male mating behavior – the kind of guy you might call an “alpha-male” who comes along to poach you from your date, your boyfriend or even your husband. He will be seductive, charming, and even tempting, but even entertaining this – should your man find out – poses the risk of not only your relationship, but injury to the soul of your man, himself. The same is true of you, should you find yourself cheated on some day. In the case of Minos and his wife, her liaison with the bull resulted in her actually getting pregnant, and giving birth to a monster called the Minotaur. The damage to King Minos was then complete – not only cheated on, but charged with raising and supporting the offspring of a literal male animal of an affair partner. He was shocked and embarrassed beyond belief, placing the creature that is half-man and half-bull in a labyrinth maze to live, and be hidden from the world. There the King would send his most reviled enemies and prisoners to be lost until they die at the hand of the Minotaur. 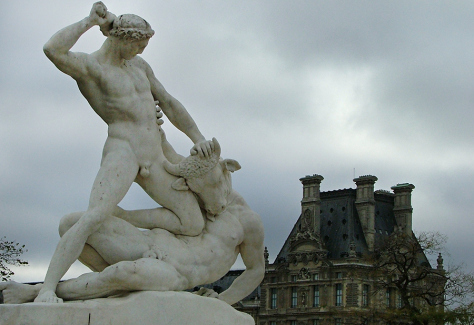 In a sense, the Minotaur may represent male shame, a lingering reminder of it with a life of its own, and a deadly destructive force in men behind all crimes of passion, war, and even bullying in the world. on 06/08/2014 at 11:42 pm | Reply Maria F.
Thank God I found some space ( lol ) to comment after all these rich comments and praises from blogger friends.I hate being a sycophant,but I have to laurel you for your meticulous analysis of the Greek myths and you ardent interest to delve into deeper levels of details.You have become more Greek than me,my friend.I would never,ever expect a foreigner at your age to deal in depth with Greek myths. The beautiful paintings and the references included strongly support and intensify the plot !!! ” Λυδοὶ γάρ ‘λάβρυν’ τὸν πέλεκυν ὀνομάζουσι “,although it is not strongly postulated that the two words bear direct connections. Take good care,my friend,hope you have a peaceful and creative day ! 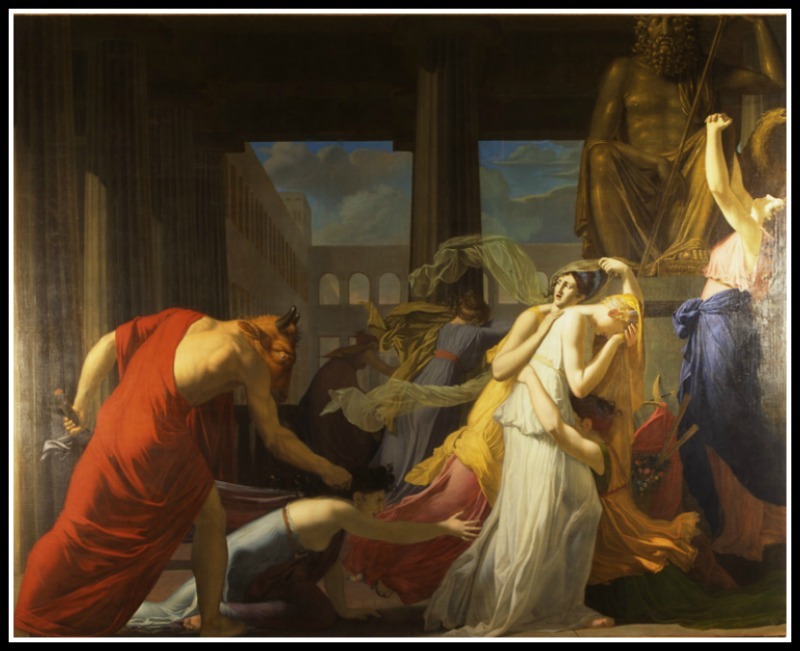 Greek Mythology: "The Labyrinth of Crete, The Minotaur and Theseus".- http://t.co/KI3U9HmTqc via @aquileana Another brilliant #blogpost! Esta es mi favorita! Qué interesante!